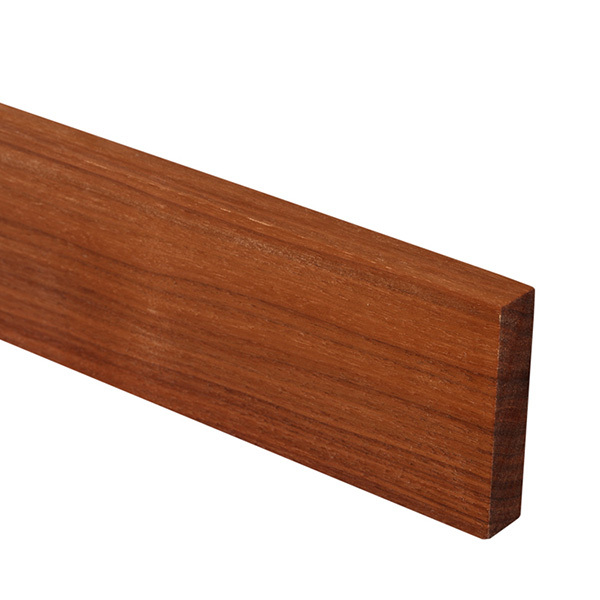 Our full stave sapele upstands are manufactured from extra-wide 90mm staves - the same beautiful high-quality hardwood that we use to carefully construct our full stave sapele worktops. Upstands are a stylish alternative to tiling kitchen walls to meet the surface of a worktop. Full stave sapele worktop upstands are an ideal addition for coordinating kitchen worktops, and also serve to hide the 5mm expansion gap that is necessary between the worktop and wall, which accommodates natural expansion and contraction of the timber as the temperature of the surrounding environment changes. Full stave sapele kitchen upstands are especially recommended if you are installing wooden worktops against uneven walls, as they help to cover any small gaps between the adjacent wall and worktop that would otherwise be noticeable. Our range of worktop upstands are supplied with a chunky, square-edged finish, which makes fitting them exceptionally easy. On the other hand, our upstands can be finished with a variety of edge profiles to match your chosen kitchen design. Discover more about the importance of quality upstands by reading our dedicated upstands information guide.